And late start times alone won’t solve the issue. The high school where I teach implemented later start times about three years ago. We made the local news and got some praise for being progressive. The reality, though? A lot of our kids still walked around like zombies. Many complained that they only averaged four hours of sleep per night. Or worse, they wore their lack of sleep like a medal that proved their work ethic. Don’t get me wrong. Later start times are supported by science and are absolutely a step in the right direction for our kids. But they’re so often touted as the solution to our chronically sleep-deprived teens that we’re missing the other ways we undermine our students’ chance to get adequate sleep. We have pretty definitive evidence now that teenagers’ natural circadian rhythms are different than that of adults and children. During adolescence, bodies release melatonin later at night and shut it off later in the morning. This makes traditional school start times a real struggle. Schools that have implemented later start times—typically defined as after 8:30 a.m.—report fewer tardies and absences, and improved alertness from students in morning classes. And research has found that teens do actually use the extra time to get more sleep. This study from the Seattle school district, for example, found that students got an average of 34 extra minutes of sleep after their school shifted from a 7:45 a.m. to an 8:50 a.m. start. And these studies aren’t the only ones—almost all of the research that exists on the subject points to the same promising outcomes. So why aren’t late start times the cure-all for student sleeplessness? First, only 17 percent of schools currently practice late start times. Every teacher knows how long policy changes like this can take. So if we want to start helping students at the other 83 percent of schools sooner rather than later, we have to look into other ways we can help. Second, even with those extra 34 minutes, students still only averaged 7 hours and 24 minutes of sleep per night—almost two hours less than the optimal 9 hours and 15 minutes the National Sleep Foundation recommends for teenagers. Those 34 minutes do matter. But they aren’t enough to combat the increased rates of anxiety, depression, and general emotional instability teenagers experience when they don’t get enough sleep. Obviously, schools aren’t entirely to blame for this epidemic. From procrastination to overscheduling to technology use, students miss out on sleep for a lot of reasons beyond our control. But that doesn’t mean we’re totally helpless here. 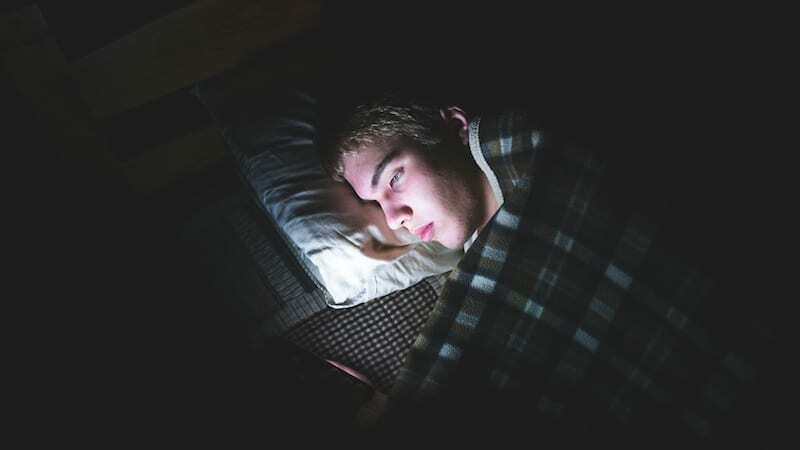 If you’re looking for ways to combat the teen sleep epidemic, here are a few things you can start (or stop) doing immediately. Stop competing in the Stress Olympics. Obviously, teenagers aren’t the only ones who don’t get enough sleep. Many American adults don’t get enough sleep as well, and a lot of teachers fall squarely into that category. We all need to vent to colleagues occasionally, but we should be careful not to create an atmosphere that normalizes chronic stress and lack of sleep. Even if we avoid venting in front of our students, the environment we create as teachers still affects our kids. If we pat ourselves on the back for losing sleep, our students will too. Use learning-management systems (LMS) more mindfully. With the LMS at my school, we made assignments due at midnight, sent out announcements after hours, and posted grades that the kids could see instantly. The result was that a lot of kids never knew when to call it a day and take time off. I was guilty of this myself. I used to post grades late into the night, and I was shocked to discover that some of my students would actually stay up so they could keep checking the gradebook. Eventually, I made an effort to stay off the LMS and email after 5:00 p.m., in hopes that my students would begin to set boundaries for themselves as well. Speaking of work-life boundaries, as teachers, we’re often notoriously bad at setting them for ourselves. If we don’t want our students staying up until 1:00 a.m. to finish their work, we need to stop doing it as well. At the very least, we can stop giving them hard evidence that we do this by posting on the LMS and emailing after hours. And more importantly, we can have transparent, honest conversations about how we find balance, set schedules, and prioritize rest. Being vulnerable and open with our students shows them that it’s normal to struggle with work-life balance. Ensuring that our students have time to complete the work we give them is probably the most important way we can help them get adequate rest. Like so many of my colleagues, if my students complained that they had too much work for my class, my gut reaction was to get frustrated. Too often, we assume that our students are just being lazy and trying to manipulate us into giving them less work. And, sure, sometimes they are. But with the statistics about teenagers’ lack of sleep and increasing rates of stress and anxiety, maybe it’s time to ask ourselves if their complaints are sometimes valid. A veteran colleague gave me some great advice: Pare it down. Be mindful about everything you assign. If you could give your students the same benefit with less work, do it. We can’t solve the first part. But we can and should do something about the second. And it doesn’t have to stop at late school start times. We’d love to hear—have you felt the impact of the teen sleep epidemic at your school? How have you approached it as a community? Come and share in our WeAreTeachers HELPLINE group on Facebook. Plus, surprising classroom triggers for students who have experienced trauma.